There’s nothing quite like an evening filled with live Jazz coupled with some delicious food and beverage! 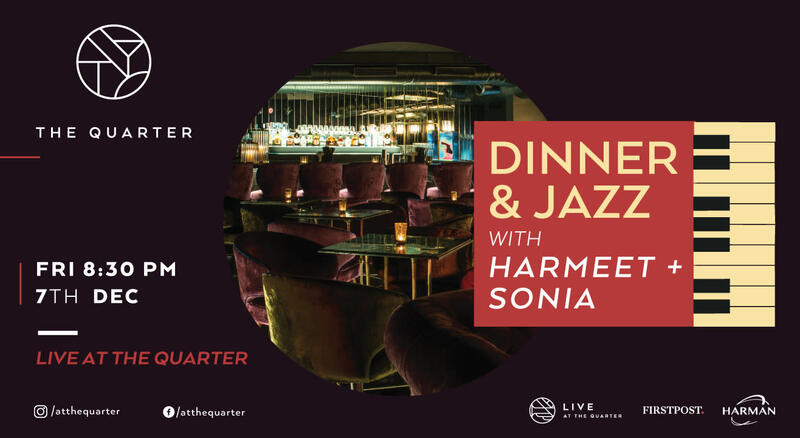 The Quarter is hosting a Dinner and Jazz evening with the extremely talented Harmeet & Sonia. 7th, December - Mark the date.